Which Accounts Payable processes should you automate? 08 Feb Which Accounts Payable processes should you automate? Accounts Payable (AP) is the business function that handles invoices from external vendors and suppliers. These invoices need to be approved, processed, paid, analyzed, and stored. The workflow is consistent, but also tedious and time-consumptive, and therefore prone to errors. People get tired, bored, hungry, and distracted; even a single mistake in a workflow can throw off the entire system exponentially. This linearly-consistent yet error-prone workflow makes AP a perfect match for automation. Though specific AP workflows vary among businesses, certain processes are always present regardless of the workflow. Invoices arrive and are directed to the appropriate party for approval; the data is captured and validated; invoices are matched and verified; invoices are paid; and the General Ledger is updated with the new transaction. Vendors and suppliers send invoices in a variety of formats through a variety of channels. Digital invoices can be DOC, DOCX, PDF, PNG, JPG, TIFF, XML, and more. 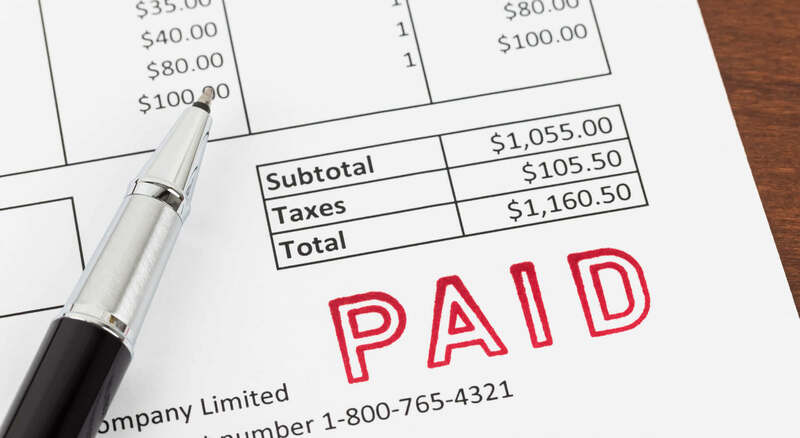 Invoices can also be faxed, printed and mailed, or hand-delivered. Invoices can even be written by hand on a slip of paper. An effective automation process for incoming invoices needs to address as many possibilities as can be imagined. Once the invoice arrives, it needs to be standardized, sorted, and categorized. Paper invoices need to be digitized to accommodate the digital workflow. With the invoice now in the system, it can be routed through the approval process. Each invoice needs to validated for authenticity and accuracy. Exceptions must be handled according to standard protocols. Often multiple parties within an organization need to sign off on certain invoices that cross designated amount thresholds or are for designated purchases. A manual invoice processing approval workflow involves interoffice envelopes traveling from desk inbox to desk inbox, waiting for a handwritten signature at each step along the way, taking hours or even days to complete the workflow. Automation allows the entire process to conclude in minutes, with just a click of an mouse at each stage. One of the most error-prone areas in the process is data entry. This is because it’s time-consumptive, dull, tedious, and mindless. It requires constant attention-to-detail with being mentally stimulated. Accurate data entry is incredibly difficult, not because of its complexity, but because it is just plain boring. Optical character reading (OCR) and intelligent character recognition (ICR) solve the issue of data entry quickly, cost-effectively, and accurately. What was once error-prone becomes error-free. Each invoice needs to be matched against other documents, such as purchase orders and receiving reports, in order to verify that the invoice is valid and accurate. Matching can be two-way, three-way, or four-way, depending on the workflow and organizational needs. When automated, all documents are digitized and stored. Artificial intelligence extracts the relevant data from every document, comparing incoming invoices in near real-time with pinpoint accuracy. Numbers are matched, general ledger codes are matched, line item information, terms, conditions, account records, and any other data required by the specific workflow for that invoice are matched. This frees AP staff to spend their time on more productive activities, while completely eliminating errors, and substantially improving processing time. Employees are happier because their jobs become more engaging, and vendors are happier because their are no errors in the payments they receive. Every invoice needs to be coded in the General Ledger (GL) with the critical data present on the invoice. Each code is governed by the business rules of the organization, and may include vendor, amount, invoice category, product line, country code, business unit, and more. At scale, there can easily be thousands of numbers to code. Similar to data entry, GL coding demands aggressive precision while being a tedious and repetitive task. It’s not fun work for humans, but robots love it! GL coding is an ideal match for automation. Learn more about the benefits of automating AP by contacting simplifiAP today. Simplifi AP is a BHS Connect accounting solution.